When it comes to material selection, making the perfect choice does not always come easily. Finding the appropriate uses for natural stone involves research and direction from industry professionals. Natural stones vary in resistance to abrasion and are not always suitable for the application a client may need. Nowadays, using your desired material in any space is made possible with the help of engineered products. As technology advances, natural stone materials are projected onto engineered surfaces. This makes possible the look of natural stone in an industry pushing for engineered solutions while eliminating maintenance and application concerns. Lines of engineered products continue to make their way into the market as its popularity grows, and as competition grows stronger, the options can become overwhelming. While looking for the perfect engineered material, it is important to make sure that the natural design you are looking for is properly projected onto the surface. Before committing to a design that is not perfect for you, remember the vast selection available on the market and explore your options. Although all engineered surfaces pose benefits, there are specific brands that rise above the competition for both functionality and beauty. 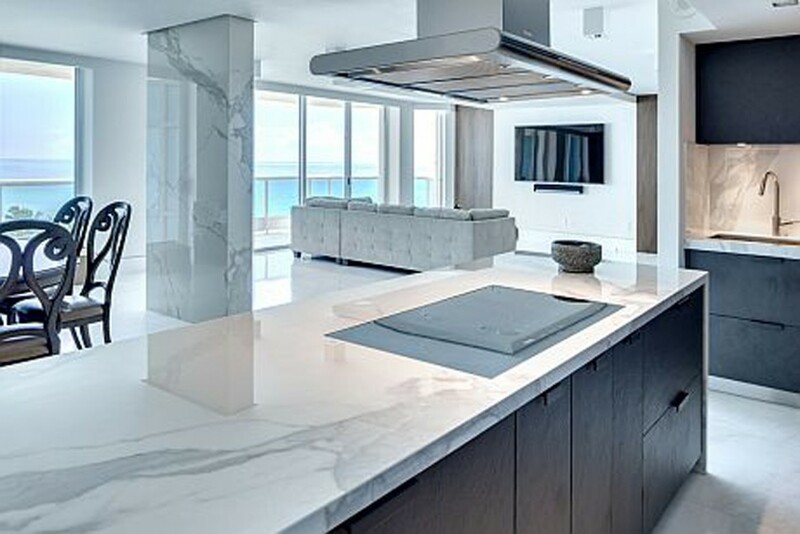 The most popular line called NEOLITH is the result of a manufacturing process that uses extreme high compaction and heat to fuse natural aggregate materials into a virtually non-porous product. This high performance material can be used for interior and exterior applications, as it does not scratch or stain, is heat and fire resistant and can withstand extreme climate conditions. Growing in popularity for its near flawless structure and compilation, NEOLITH offers the ultimate combination of functionality and beauty, making selection processes easier than ever. With endless benefits of hygiene, easy maintenance, no cross contamination of foods after clean up, Colour Fade Resistant, scratch, stain and acid proof design, NEOLITH leads the engineered material. Remember to keep Marble Trend, NEOLITH and other lines of engineered material in mind while selecting material for your next project.